The monument of the ancient Franciscan Cloisters is a corner of refined beauty and silence located in the city’s historic centre, and a place whose symbolic and moral value even surpasses its architectural and artistic qualities, since it brings to mind the period when Dante Alighieri stayed in the city. It was part of the convent built by the Franciscans in 1261 near the church with the same name. The buildings which can be admired today are not the original ones. In fact, they date back to the fifteenth century and bear the mark of the works carried out in the seventeenth century. The entire “Dantesque” area then took on a more romantic aspect between 1921 and 1932, with the restoration of the Basilica of St. Francis, the Quadrarco of Braccioforte and Dante’s Tomb, a project signed by architect Giulio Ulisse Arata (who also designed the project for the Province Building). The first cloister was dedicated to Dante, and remained with the friars until 1810. The ground floor is a magnificent loggia embellished by white marble columns with Doric style capitals. In the middle of the loggia there’s a well decorated with sculptures. The second floor, known as “della Cassa” has an irregular shape owing to the different number of arches of the loggia on the ground floor. The columns are made of Istrian stone, red Verona marble and Greek marble. On the first floor there’s a smaller loggia supported by brick pillars with terracotta capitals. In the middle there’s an Istrian stone puteal with two bas-relief amphorae and coats of arms, where there is an eagle with the motto “Pietra Exaltavit Me.” Both cloisters were purchased in 2001 by the Fondazione Cassa di Risparmio di Ravenna, which restored and enhanced them. In the cloister a plaque commemorates the spot where in 1519 the monks made a hole to get to the ancient sarcophagus where Dante’s remains were located and removed them so that they wouldn’t be taken by the Florentines. Pope Leo X, son of Lorenzo the Magnificent, had indeed granted them to Florence, after several requests for restitution had been rejected. The bones were found only in 1865, not far from the Quadrarco of Braccioforte. Over the years these havens of peace have hosted precious recitals and readings dedicated to Dante Alighieri. A journey through songs and readings, evoking the female figures Dante loved and celebrated. 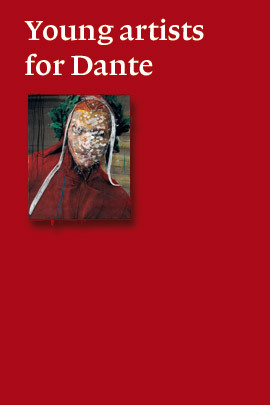 . .
A fascinating journey into the silence of the cloisters, where the words of Boccaccio's Treatise in Praise of Dante will narrate the Supreme Poet's last years, from the exile to his death in Ravenna . . . It is a wish Dante expressed in immortal words: beholding the stars at last, after leaving the gloomy wood that forced his gaze to the ground, and being happy again . . .